Many thanks to Brian Randell from Newcastle University for sending me these fabulous documents: an article in The Times edition from 1977 announcing Tommy Flower’s receiving the DSc from Newcastle University and the Public Orator’s speech from the Honorary Degree Ceremony. I’ve typed out the full text of The Times article below. 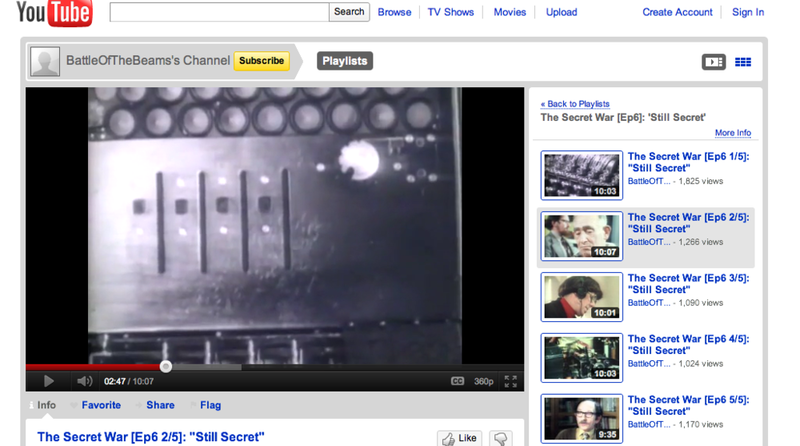 Brian has also sent me a link to The Secret War episode mentioned in the Times which he has found on Youtube. It is amazing 1977 TV, watch it now, you will not be disappointed. Computer pioneer: Mr Thomas Flowers one of the men responsible for developing Colossus, the computer that contributed to breaking German codes during the Second World War, at Newcastle University yesterday, where he received an honorary degree of DSc. Mr Flowers was head of the switching group of the Post Office’s Dollis Hill research station, London, and is known for his work on the application of electronics to telephone switching and signaling. His wartime work on Colossus, which was developed for the Foreign Office’s department of communication, was described in the television series, The Secret War.